The Art Collections of the University at Albany reflect over 30 years of contemporary art and include over 3,000 works (primarily on paper). The collections include works by such renowned artists as Vito Acconci, Mel Bochner, Manuel Alvarez Bravo, Willem deKooning, Richard Diebenkorn, Leon Golub, Donald Judd, Grace Hartigan, Ellsworth Kelly, Louise Nevelson, Eduardo Paolozzi, Dieter Roth, Edward Ruscha, Robert Rauschenberg, James Rosenquist, and Robert Smithson. More recent acquisitions include works by Xu Bing, Yasumasa Morimura, Vic Muniz, Tim Rollins+ K.O.S., Lorna Simpson, and Kara Walker. The Albright-Knox Art Gallery's 150-year tradition of collecting, conserving, and exhibiting the art of its time has given rise to one of the world’s most extraordinary art collections. 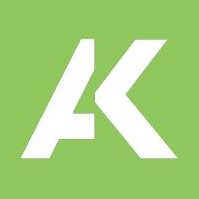 Thomas Hoving, art historian and former director of the Metropolitan Museum of Art, New York, said that "the Albright-Knox Art Gallery should be on everyone’s list to see, for it’s an overwhelming art experience. Small, intimate, and seductive, the museum has one of the most thumping modern and contemporary collections in the world." The museum's Collection is especially rich in post-war American and European art, acquired mostly through the generosity of its patron, the late Seymour H. Knox, Jr. Abstract Expressionism, Pop art, and art from the 1970s through the end of the century are well represented by exceptional works from Arshile Gorky, Jackson Pollock, Andy Warhol, and Jasper Johns. 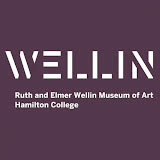 The Ruth and Elmer Wellin Museum of Art joins traditional object-based learning with advances in interdisciplinary approaches. With its visible archive and open storage, the museum allows for unprecedented access to a collection of art and artifacts that span millennia and cultures. The Wellin’s state-of-the-art facility offers classroom space, a study center to facilitate access to and research of the collection, and a versatile exhibition space. By bringing the classroom into the museum, the Wellin functions as an exceptional teaching tool, available to students and faculty alike. The museum also serves the broader community, encouraging observation, exploration, and engagement through its presentation of exhibitions on the cutting edge of art, art scholarship, and research in other disciplines. Fenimore Art Museum is dedicated to welcoming and connecting people to our shared cultural heritage through exhibitions and programs that provoke, delight, and inspire. 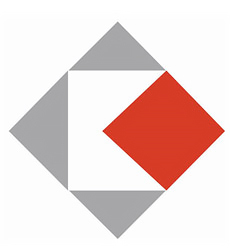 From the beginning over 80 years ago, the holdings have grown significantly in size and scope. In the early 1960’s, the collection began to focus on the artists who have lived and worked in the region, including some of the country’s most celebrated painters, sculptors, photographers and graphic artists. It was not until 1970 when the then Dewey Wing, with climate-controlled art storage and processing facilities, was added that collecting started in earnest. In 1973, the museum received the distinction of being accredited by the American Alliance of Museums, and it was reaccredited in 2010. 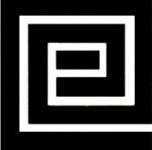 Today, the holdings of the 19th, 20th and 21st century art include paintings, sculpture, prints, watercolors, photographs and drawings by internationally distinguished artists such as Pollock, Krasner, deKooning, and Lichtenstein. The museum continues to acquire works by donation and acquisition. The year-round schedule of changing exhibitions includes both one-person and group shows, the annual Members Exhibition and the Student Arts Festival. 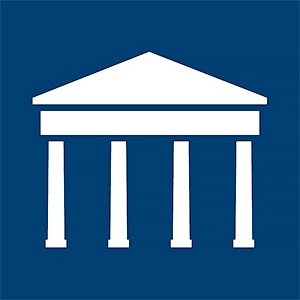 The Hofstra University Museum, the only American Association of Museums accredited university museum on Long Island, has a permanent collection that is one of the most valuable university collections in the New York metropolitan area. The Museum’s permanent collection contains more than 4,600 objects spanning 5,000 years of human history and representing 6 continents. The collection includes major works of art by American and European modern era artists in painting, sculpture, photography, prints and other works on paper, along with Asian, Oceanic, African and Pre-Columbian art. The Heckscher Museum of Art’s collection spans 500 years of Western art with particular emphasis on the nineteenth and twentieth centuries. Established in 1920 with a gift from August Heckscher of 185 works, the collection now numbers more than 2500 pieces by American and European artists. American landscape painting and work by Long Island artists, past and present, are particular strengths, as is American and European modernism. Photography is a growing part of the collection. In photography, the Museum has extensive holdings of the work of Berenice Abbott, Larry Fink, and Eadweard Muybridge. The collection recently received an important gift of Man Ray’s Electricité portfolio of 1931, consisting of ten rayographs commissioned by a Parisian electric company, the Compagnie Parisienne de Distribution d'Electricité (CPDE), to promote the domestic uses of electricity. The photography collection at the Johnson Museum began with a bequest of forty-eights works from William P. Chapman, Class of 1895. These included predominantly Pictorialist photographers Alvin Langdon Coburn, Gertrude Käsebier, Clarence White, and Alfred Stieglitz. The photography collection has grown steadily and now numbers nearly six thousand works, representing the history of the photographic medium, from early examples by William Henry Talbot, Hill and Adamson, and Julia Margaret Cameron to the work of present-day photographers. In addition, we have in-depth collections of the work of Cornell graduate Margaret Bourke-White as well as Robert Frank, Berenice Abbott, Leon Levinstein, Ralph Meatyard, and William Klein. In 2012 the new Rona Hollander Citrin ’80 and Jeffrey Citrin Photography Center will open, providing new opportunities for the Museum to integrate the study of photography into Cornell's curriculum and to ensure that the collection is seen, studied, and taught to its maximum potential. With a few examples of early work, the video collection mainly represents the Johnson’s recent engagement with the medium. The future Picket Family Gallery will provide a dedicated space for video and other time-based art. Accredited by the American Association of Museums, the Katonah Museum of Art originates three to four exhibitions annually, covering a broad range of art and humanities topics. From the beginning, the KMA was committed to presenting exceptional art from all cultures and time periods. The founders’ decision to be a non-collecting institution resulted in a dynamic and flexible exhibition program, which remains one of the most distinctive features of the KMA. 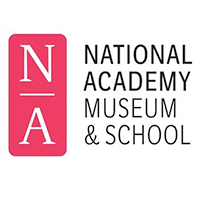 The KMA offers lectures, films, workshops, concerts and other events for a general audience; and presents innovative and substantive programs for over 100 member schools. Our Learning Center is the only interactive space in Westchester County where children can come on a daily basis to explore and create art. Our outreach programs for the local Hispanic immigrant population are at the forefront of community-based education programs. The KMA works intensively with schools and service organizations to develop literacy and assimilation skills among this population. collection of 19th and 20th century photographs. Although the museum held only two photographs then, the collection now includes more than 1,300 photographs, daguerreotypes, ambrotypes, and tintypes. In 1995, a formal partnership established with the Center for Photography at Woodstock (CPW) resulted in the transfer of the permanent print collection developed by CPW to the Dorsky on extended loan. The CPW collection includes primarily contemporary work and is international in scope; it contributes significantly to the breadth of the museum's photographic holdings. This unique partnership, which includes collaborations with the university's programs in fine art photography and digital imaging is responsible for forging a strong and vital presence for the photographic arts in the region. 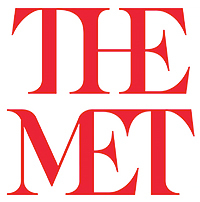 In 1992, the Robert Mapplethorpe Foundation named the Guggenheim Foundation the recipient of approximately 200 of Mapplethorpe’s finest photographs and unique objects. Realized in several stages between 1993 and 1998, the gift made the Guggenheim the most comprehensive public repository of this important American artist’s work, and also inaugurated the museum’s photography collection and exhibition program. The collection spans the history of the photographic medium, from daguerreotypes to gelatin silver and digital chromogenic prints, but is strongest in its holdings of American and European documentary photography from about 1930 through the 1960s. Among the highlights are comprehensive archives of the works of Robert Capa, Cornell Capa, Gerda Taro, Chim (David Seymour), Roman Vishniac, and Weegee (Arthur Fellig), as well as works by members of the Photo League and photographers of the Farm Security Administration. Also included are substantial holdings of Henri Cartier-Bresson, Alfred Eisenstaedt, Robert Frank, Andre Kertesz, Lisette Model, Gordon Parks, Aaron Siskind, James VanDerZee, and Garry Winogrand. Another component of the collection is a significant group of photographically illustrated magazines such as Vu, Regards, Picture Post, Berliner Illustrirte Zeitung, Arbeiter Illustrierte Zeitung, and Life. The collection also includes a distinctive survey of vernacular photography, including photographic albums, commercial photography, and real photo postcards. Recent acquisitions include key works by Mitch Epstein, Hiroh Kikai, Seidou Keita, Justine Kurland, Liu Zheng, Gillian Laub, Louise Lawler, Susan Meiselas, Vik Muniz, Shirin Neshat, Alessandra Sanguinetti, Collier Schorr, Stephen Shore, Lorna Simpson, Hank Willis Thomas, and Mickalene Thomas. Today, the Academy includes over 300 artists and architect members, with over 2,000 having been elected since the Academy’s founding. Owing to the vision of the Academicians who present their work upon induction into the Academy, our unique permanent collection now includes over 7,000 works. In addition to the object collections, the museum’s holdings also include the Photographic Archive (approximately 324,000 images from the 1860s to the present); the Media Archive (approximately 12,000 items) including film and audiovisual collections such as wax cylinders, phonograph discs, 16mm and 35mm motion picture film, magnetic media of many varieties, and optical and digital media recorded from the late 1800s through the present; and the Paper Archive (approximately 1500 linear feet) comprised of records dating from the 1860s to the present that preserve the documentary history of the NMAI, its predecessor, the Museum of the American Indian (MAI), Heye Foundation, and their collections, as well as other documentary and archival materials. Each of these four permanent collections components is defined by its individual scope and described in detail below. 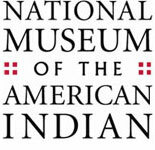 NMAI also maintains unaccessioned collections, including educational teaching collections and non-Native works of art depicting American Indian subjects, as well as poorly documented materials currently being researched for their value to the overall collection or potential disposition. 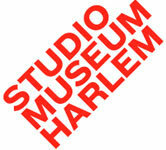 The Studio Museum in Harlem’s permanent collection represents more than 400 artists, spans 200 years of history and includes over 1,700 works of art, including paintings, drawings, sculptures, watercolors, photographs, videos and mixed-media installations. The collection is a record of the growth of the institution and its activities, including its foundational Artist-in-Residence program. The Museum is also the custodian of an extensive archive of the work of photographer James VanDerZee, the quintessential chronicler of the Harlem Community from 1906 to 1984. 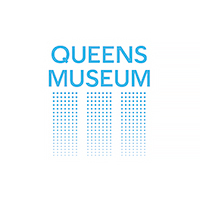 The Jewish Museum's collection explores the intersection of 4,000 years of art and Jewish culture through 26,000 objects of different media, including fine arts, Judaica, and broadcast media. Works of fine art began to be acquired in the late 1940s; a significant collection of coins and medals was assembled and donated between 1935 and 1948; two major collections of archaeological artifacts were acquired in 1973 and 1981. In 1981 the Museum established the National Jewish Archive of Broadcasting, now holding over 4,300 television and radio programs. The collection of Fine Arts comprises paintings, sculpture, prints, drawings, photographs, books, manuscripts and decorative arts ranging from the late 18th century to the present. Fine arts in the collection depict Jewish personalities, customs and environments, comment on the meaning of Jewish life and history, and explore the issues of Jewish identity from the perspectives of both Jewish and non-Jewish artists. Established as an independent curatorial department in 1992, The Met's Department of Photographs houses a collection of more than 25,000 works spanning the history of photography from its invention in the 1830s to the present. Among the treasures from the early years of the medium are a rare album of photographs by William Henry Fox Talbot made just months after he presented his invention to the public; a large collection of portrait daguerreotypes by the Boston firm of Southworth and Hawes; landscape photographs of the American West by Timothy O'Sullivan and Carleton Watkins; and fine examples of French photography from the 1850s by Edouard Baldus, Charles N	ègre, Gustave Le Gray, Henri Le Secq, Nadar, and others. The mission of The Morgan Library & Museum is to preserve, build, study, present, and interpret a collection of extraordinary quality, in order to stimulate enjoyment, excite the imagination, advance learning, and nurture creativity. A global institution focused on the European and American traditions, the Morgan houses one of the world's foremost collections of manuscripts, rare books, music, drawings, and ancient and other works of art. These holdings, which represent the legacy of Pierpont Morgan and numerous later benefactors, comprise a unique and dynamic record of civilization, as well as an incomparable repository of ideas and of the creative process. The Museum of Modern Art (MoMA) began collecting modern photography in 1930 and established the department in 1940. The Museum's holdings of more than 25,000 works constitute one of the most important collections of modern and contemporary photography in the world. As diverse as photography itself, the collection includes work not only by artists, but also by journalists, scientists, entrepreneurs, and amateurs. The Whitney’s collection— comprising more than 19,000 paintings, sculptures, drawings, prints, photographs, films, videos, and new media by more than 2,900 artists—contains some of the most significant and exciting work created by artists in the United States during the twentieth and twenty-first centuries. Since 1994, the Center for Curatorial Studies has presented rotating temporary exhibitions of contemporary art in the 9,500 square-foot CCS Galleries. Designed by architect Jim Goettsch and Nada Andric, the Galleries include advanced storage facilities and a special gallery designed for the presentation of video art and works on film. Exhibitions in the CCS Galleries are organized by Center staff and visiting curators and scholars, who are invited to discuss their projects with students and the public in gallery walk-throughs and the Center’s lecture series. CCS exhibitions reflect the Center’s principal aim to encourage and explore experimental approaches to the presentation of contemporary visual arts, and are also utilized by students in the Center’s graduate program for their collaborative first-year projects and second-year thesis exhibitions. On November 12, 2006, the Center for Curatorial Studies inaugurates the Hessel Museum of Art, a new 17,000 square-foot building dedicated to the Marieluise Hessel Collection of over 1,700 contemporary works. The new museum will provide an educational venue for Bard students as well as the wider public, and a place to test out the possibilities of exhibition making utilizing the remarkable resources of the collection as a whole. Exhibitions in the Hessel Museum of Art will compliment the extensive exhibitions curated for the CCS Galleries. In the house you will find a permanent exhibition of Alice Austen's work, temporary exhibitions, and period rooms. Alice Austen (1866 - 1952) was one of America's earliest and most prolific female photographers, and over the course of her life she captured about 8,000 images. Though she is best known for her documentary work, Austen was an artist with a strong aesthetic sensibility. Furthermore, she was a landscape designer, a master tennis player, and the first woman on Staten Island to own a car. She never married, and instead spent fifty years with Gertrude Tate. A rebel who broke away from the ties of her Victorian environment, Alice Austen created her own independent life.